While Alexandria is an amazing place to live for people, it is also a great place for dogs! With parks, dog friendly events and tons of places to explore, it is almost as if Alexandria was built for dog owners! Some canines even hold jobs in the city, such as Cooper Jackson. You know it’s a dog loving town when one of Alexandria’s ambassadors is a furry friend themselves. 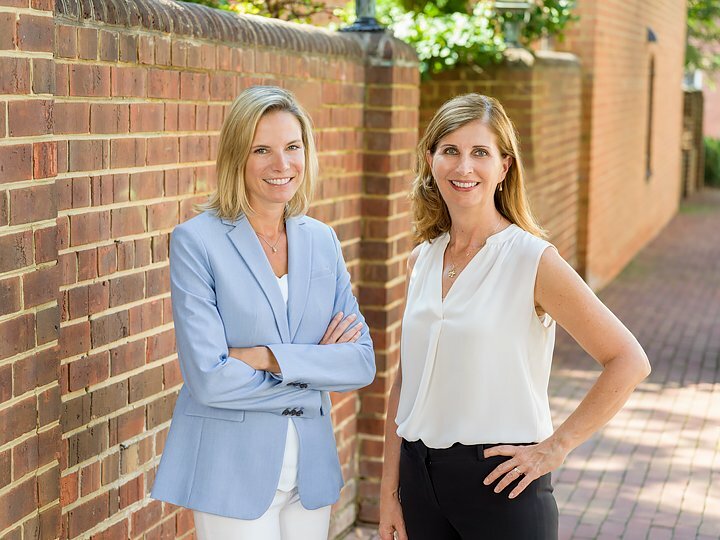 Cooper serves as a “goodwill ambassador” for the city of Alexandria. 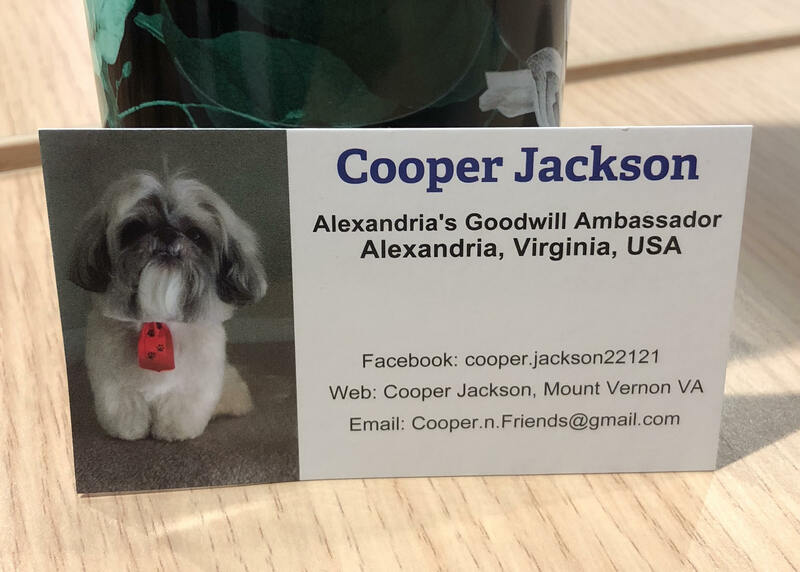 As a goodwill ambassador, Cooper’s job is to make as many friends around Alexandria as possible (Alexandria is known for networking after all). Cooper is very popular amongst residents and always makes a ton of new friends each day. While not all dogs might find jobs in Alexandria like Cooper did, we can promise you your best fur-friend will find something they love in this city which was basically built for dogs. With parks,rivers and lakes and much more, Alexandria is the perfect place for pet owners and their furry friends! The options for walks and outdoor play time with your dogs are endless! We have developed a list of our favorite dog parks across the city! Each park listed has its own unique features to enhance and create their own experiences so your dog is sure to have many more favorite spots after visiting these parks! Located off Holmes Run Parkway, Ben Brenman Park is a nearly 60 acre park in the middle of Alexandria. The park features an amphitheater, athletic fields, and a fenced in dog park! For hikers and people looking for great views, the park also features numerous of hiking trails and a pond. The park also features entertainment for kids and athletes of all ages with different fields ranging from a baseball field to a new synthetic turf field. Playgrounds and grill areas also litter the area, many park goers enjoy grilling and watching the sunset view over the pond! The pond views, hiking trails, and abundance of green space at Ben Brenman Park will make you think that you are anywhere but in the middle of a city! If finding the best park for your pooch is your goal, a great place to start is Shirlington Dog Park on South Oakland Street. Shirlington is well known for being very accommodating to dog owners. With bathroom baggies provided, dog wash stations, and an abundance of open green space, Shirlington is basically a dog walker’s wonderland! The park even has water fountains for dogs littered throughout its walking trail! Shirlington is one of the most canine friendly parks in the area, so there is always a bunch of dogs and owners around if your pooch is friendly! The park also has a smaller fenced in area for younger or more shy dogs. When it comes to finding a park that your dog will love, start at a park built for dogs and dog owners like Shirlington! Located on South Scott Street, Towers Park is one of the hidden gems for hikers and dog walkers in Alexandria! The park has been recently renovated and offers so much to do for both humans and pets alike! With tennis, volleyball, and basketball courts along with playgrounds and a grilling area, there are so many outdoor activities that the entire family could enjoy together! The park’s tennis court also means that dogs have a virtually unlimited amount of tennis balls to enjoy! With equipment for dogs to run and jump on along with an abundance of both grass and gravel open space, Towers Park can fit any dog owner’s needs. Park goers have lauded Towers Park for its safety and cleanliness. The park also features a smaller park that is adjacent to its larger park for shyer or small sized dogs. For those with well-behaved dogs, there are many unfenced areas where dog-owners meet up It’s an awesome sight to see. The boundaries are marked by bollards and, unless otherwise posted, are open from sunrise to sunset. With an abundance of fields and grills and unlimited options to make any dog happy, Towers Park is a great way for everyone in the family, especially the dog, to have fun! Do you have a favorite place to take your dog? Let us know! We’d love to add it to our list.